Today was the first round of the Angling times supercup and my mate had asked me to fish for the Stockton Heath team although, after last years debacle when things really didn’t go to plan I was a bit unsure about accepting the offer however I decided to throw caution to the wind as it was with a totally different group of lads. For those of you who don’t know anything about The Angling Times Supercup competition you have to enter a team of six lads and each of us would be in a section of two or three depending on how many teams you was fishing against, so basically you only needed to beat the lad at the side of you to gain a point for your squad and if both teams tied on points it would then go down to cumulative weight this was the fourth time I had fished this event with three different groups of lads, individually I had quite a good record in this competition winning my section on all bar one of the matches in the first round and on the other it was a three-way tie where I finished second in section so still picked up good points, on the team front though it was a different story as I had only gone past the first round once and last year I got beat on weight which is always a kick in the teeth , I always wondered why they never do teams of five so things like that do not happen in the future. We had been for a practise match a couple of weeks previously where the weather was atrocious but at least we had managed to sort a few things out and came up with a game plan so we was pretty confident of holding our own against Trafford Angling even though they had home advantage and been fishing a winter league for the past month or two so obviously had some tricks up their sleeves, after my thirty mile trip to the venue which took over an hour with all the roadworks, then restricted speed zones on the motorway near Manchester I finally arrived at the fishery and met up with the rest of the squad , we was all in an upbeat mood although a couple were understandably a bit nervous as it was their first attempt in the competition. Before the draw had taken place it was agreed that certain areas of the lake we were not allowed to use tip rods because it would limit the distance people could fish, I was put on peg seven which was on the far side of the lake where the boards are and on our practise match we didn’t fish this part of the lake as it was a very poor area but like I mentioned earlier you only needed to beat the angler at the side of you and I was quite confident of doing just that because I tend to do better on places that you need to scratch around for bites. Long line at 14m were after plumbing up i found it to be 10ft deep so i used a 4×16 malman roob which had a bulk plus two droppers as a shotting pattern and my main line was 014 garbo which had a six-inch hook length of 010 with a size 18 silver fish-hook . Six meter line i really would have liked to fish this line closer in but in this area the peg was all over the place sloping badly from right to left and i had to go that far out to find a flat spot , as it was 6ft here i used a 4×14 maggie float with a bulk two foot away from my hook and then two droppers which would allow for a slow fall in the final third ,my main line was 014 garbo which had a six-inch hook length of 010 garbo with a size 18 silver fish hook . Shallow rig which was set at four-foot deep but i would alter this as the match progressed , my float was a 4×12 maggie which had a strung out shotting pattern along the 014 garbo which had a six-inch hook length of 010 garbo with a size 20 silver fish-hook . When the all in sounded I put a small cup of casters onto my six meter line and two cups of pellets on my fourteen meter swim, my reasons for doing it was that I wanted to keep the fish on the deck because this was where the bigger silvers had been caught plus, you would also get chance to catch a bonus skimmer although there wasnt that many caught in the practice match, I left my far swim to settle and went onto the six meter line hoping to get a quick couple of pounds of silvers which is what I did although, they were a lot smaller than i wanted to be catching. After a while I began getting into a nice routine and it was all going well, I started double feeding a dozen casters every five minutes over my float but even this heavy feeding brought them up of the deck and when I had a few liners I picked up my shallow rig this improved my catch rate to one every two minutes, I saw a few skimmers come out on the noted flyers but as mentioned earlier you only had to beat the lad to your left and, I was catching twice as fast as he was although only small silvers so I just kept putting fish in the net unsurprisingly my catch rate slowed and I needed to really work at it changing shotting patterns & depths to keep the roach coming. Every hour I decided to spend ten minutes on my far swim, to see if I could pick up a bonus skimmer which would have boosted my weight considerably, however all I could manage were small roach so I re-fed it with a ball of micros and then went back on to the shallow rig, after the rest I always seemed to pick up a few better stamp roach on it before I was back into the two ounce roach this is basically how my match went and i could only catch small silvers on all of my lines so i spent most of my match fishing shallow , although strangely i would pick up a bigger stamp of fish by letting my hook bait just hang there mid-depth and I only really had one moment of worry when my neighbour managed to catch a small skimmer but it turned out to be a loner and as the all out sounded I was pretty confident of winning my section. After packing up I went round to see the other lads in the team and it looked like we had got properly beat on two sections & won two sections, the remaining sections would be pretty close and this is how it panned out. Unfortunately the two sections which we felt would be close went the way of Trafford AC but only by the odd pound so we ended up getting beat 4-2 so well done to them and I hope they go far in the competition, on a personal note I kept up my record of winning my section comfortably this time with my hundred roach weighing 15lb compared to my neighbours 6lb but I still have only made the second round once so that needs improving on and now that that’s over with for another year I’m going to have a couple of weeks of to recharge my batteries before i am back on the match scene. 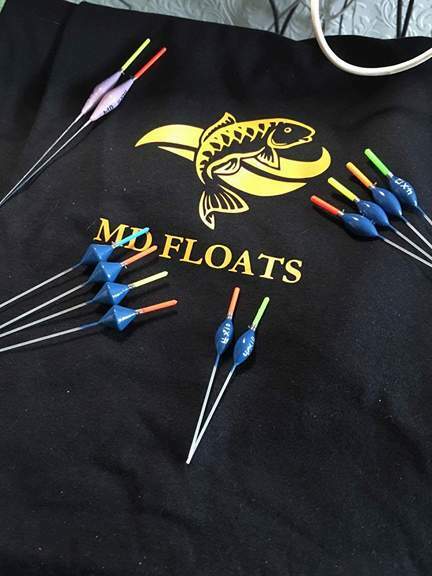 This entry was posted in goose green fishery and tagged Angling Times super cup, caster fishing, goose green fishery, malmans roob float, silver fishing. Bookmark the permalink.